Once the work week comes to an end I start to get the weekend shopping itch. Outside of some of the vintage finds in our shop, I am always looking for unique collectibles or new accessories for my clients, gifts...and of course myself! I love hitting up flea markets and estate sales but when the work week has gotten me running round in LA traffic to the point where I cannot bare hitting the streets on my weekend...there are loads of exciting finds at your fingertips! 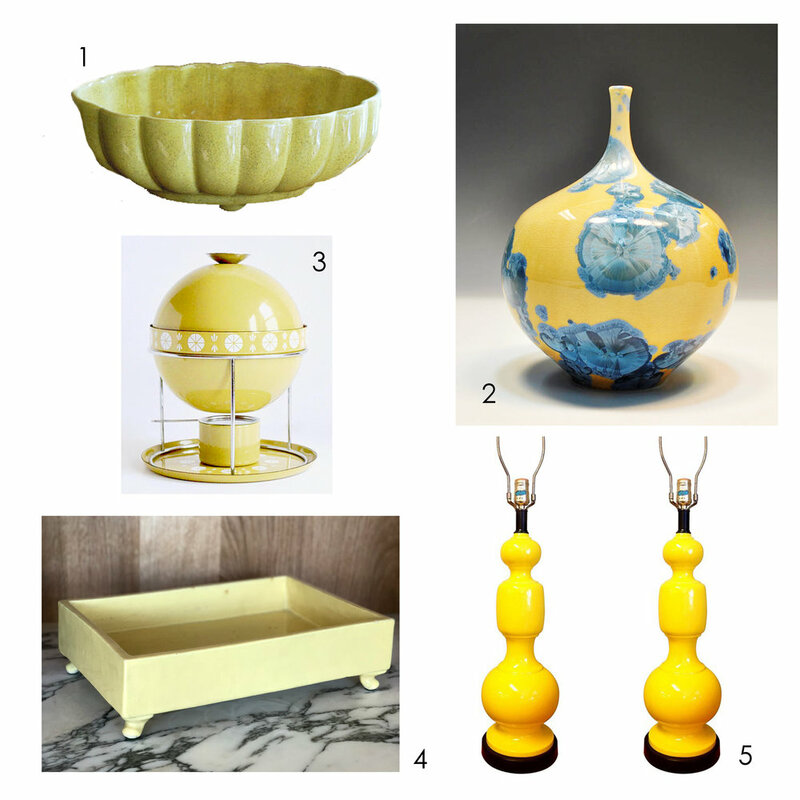 See below this weeks "Saturday Shopping" --online ceramic finds (vintage & new)! I love handmade pottery and ceramics. There is something even a new piece of pottery that excites me when done well. Even if the piece is not vintage the handmade aspect with its imperfections and one-of-a-kind quality is what I love about them the most. 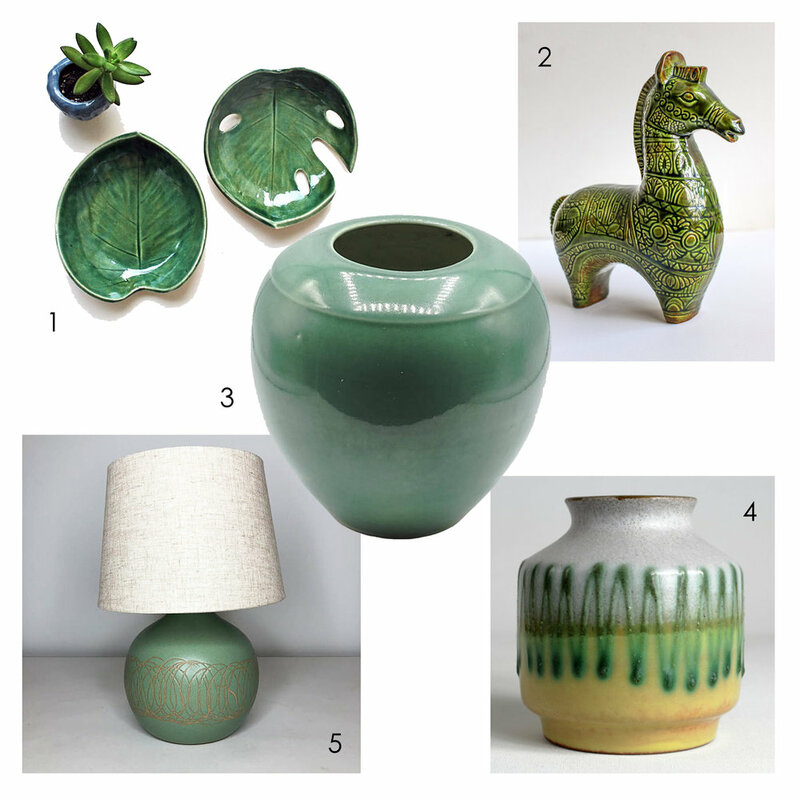 Check out my favorite finds and links where to find them.